Some visions take a little longer to see fulfilled! Sometimes it is obstacles, but most of the time it is the Lord’s TIMING in the third world, especially restricted areas like Pakistan. However, at times delays result in even GREATER BLESSINGS! Such is the case in My Father’s House, as you will see in the article we have linked below, we see them as miracles of God’s grace! My Father’s House will be a place of refuge and blessing for children that the enemy sought to destroy. 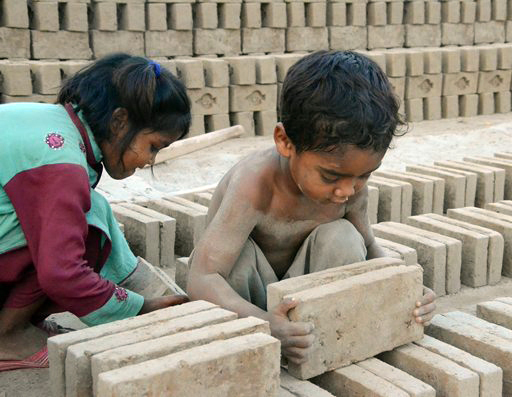 Their lives were made miserable through hard toil as they were left in brick maker prisons due to the death of their parents or even murder. Some of these kids are children of Christian martyrs. These children go unnoticed and will stay in prison for the rest of their lives, but God has given us eyes for them. We have learned that orphaned children are teamed up with other orphans and must work more hours. Sometimes they are even taken to work camps where they work around the clock until a quota for an urgent load of bricks is met. Soon I will take the time to tell you what these kids have gone through. It will take your breath away! We hope to have My Father’s House up and running within the next 4 months so we can buy children out of cruel brick makers slavery. We did not plan to start just before Memorial Day, but God did. We have a total of 21 doors that are available for tributes to a loved one. The name of YOUR LOVED ONE will be posted on the door either “in memory of” or “in honor of” them. Teresa and I reserved the entry door in memory of my dad, Howard Musser, who recently passed. We have 18 doors left and for a gift of $100, we will purchase one door to place the name of your loved one. We will have 11 bedrooms which are about the same size. We estimate about $500 to complete each room. Another $260 will cover six beds, blankets, and a cupboard. These are our first goals, later we will add a few more rooms like a kitchen and an office. We are also seeking sponsors for the third Teresa Sewing Center which will be located at My Father’s House. The new center will have ten sewing machines to train some of the orphans. You can call us or email us anytime. If you have a departed loved one to honor, don’t wait. When you give a donation directly from this page, it is will show My Father’s House on the designation.